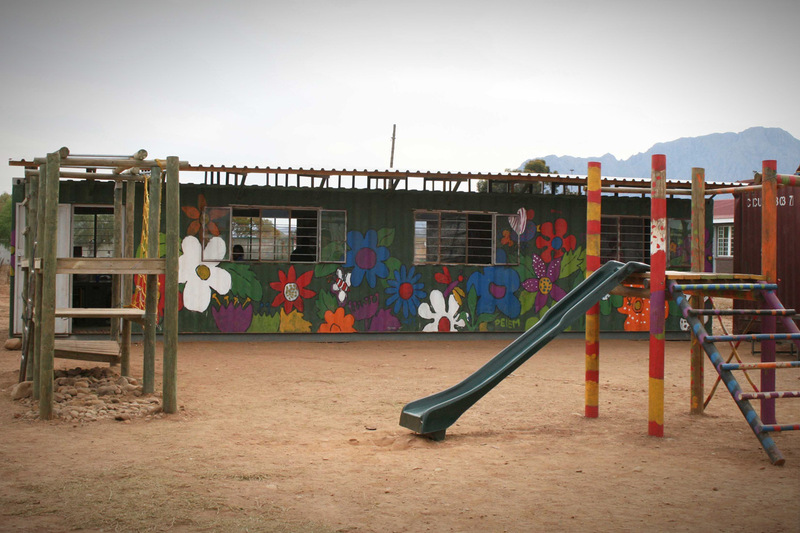 SINETEMBA (NPO 089-271) is a registered charity which operates in Zweletemba, a township situated outside Worcester in South Africa’s Western Province approximately 100 km north east of Cape Town. Zweletemba has a very high unemployment rate, a high crime and alcoholic rate and most of the residents live in abject poverty. HIV/AIDS and TB are rampant and probably everyone living in the township has been affected by these scourges in some way or another. The houses range from simple brick buildings to lean to shacks. Fathers often abscond, leaving the mother or grandmother to try to survive on the extremely inadequate government grants. Often the oldest child is forced to take over the role of head of the household- both parents having died of AIDS or TB. 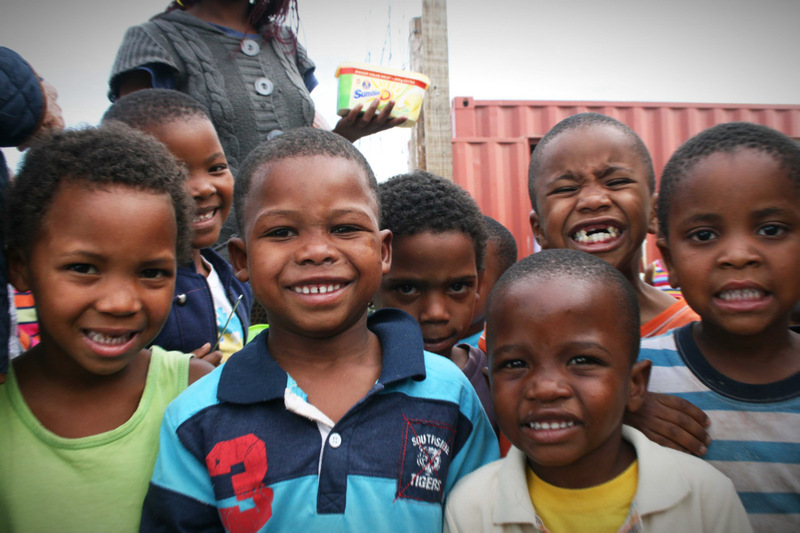 SINETEMBA cares for as many of vulnerable and disadvantaged children in Zweletemba as our funding allows. 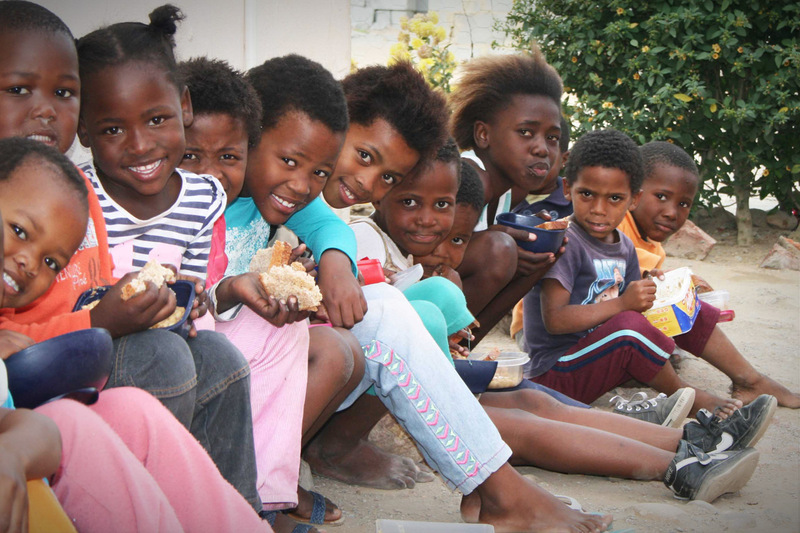 Your donations make it possible for these children to receive a well balanced and delicious meal. 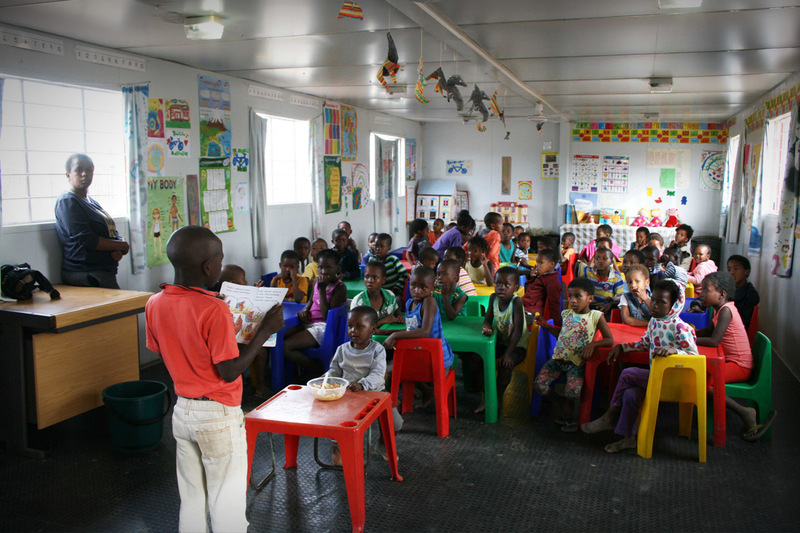 Our facility is situated on the grounds of the VUSISISWE SECONDARY SCHOOL in Zweletemba. The school allows us to use a large piece of their property rent free and for this we are extremely grateful. 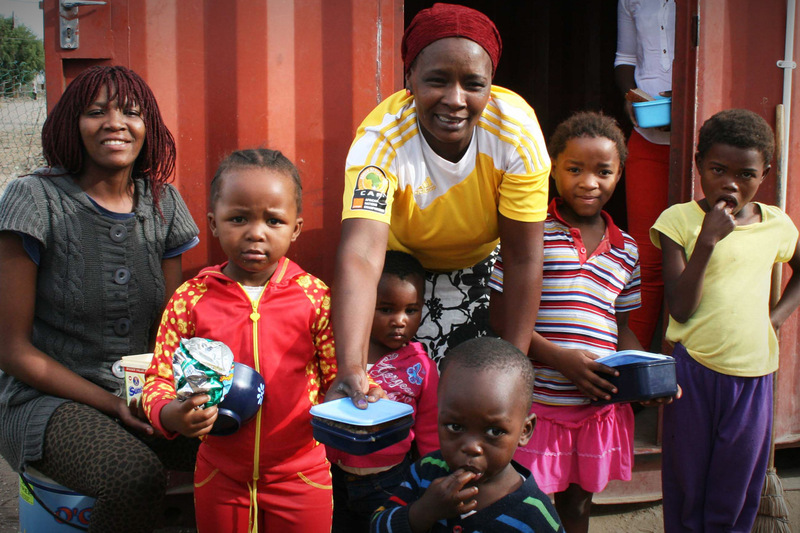 Two small shipping containers which serve two kitchens feeding children in different areas of Zweletemba. One small shipping container which the older boys use as their clubhouse- chess, monopoly, darts, dominoes and homework. Feed a hot meal to about 210 of these hungry, neglected and often abused children daily Monday to Friday. The meals are well balanced and delicious. 3 cooks work hard every day preparing the food. Provide an after care facility which caters for between 80 and 130 of the above children, runs classes from Grade R to Grade 5. The project is well equipped with educational games, puzzles, story books –and 2 qualified and 2 student teachers look after and help the children. The local branch of Round Table has donated playground equipment which is also very popular. Your donations make it possible for these children to enjoy games, puzzles, story books and have fun.